Despite what many mainstream Republicans (and even Tea-Partiers) seem to assert, respect for freedom is not synonymous with support for each and every private or corporate entity. Indeed, as the recent behavior of the large, politically connected banks demonstrates, sometimes private actors can be the greatest infringers of liberty and perpetrators of unjustified suffering. As was amply publicized in December 2010, it turns out that the large banks have not merely been foreclosing without fulfilling all the technicalities of proper loan documentation. Some homeowners throughout the country have been foreclosed on without ever missing a mortgage payment, either due to banks' dishonesty and incompetence bringing about so-called “servicer-driven foreclosures”―or without even having a mortgage from the bank in question (see, for instance, here, here, and here). The security of private property rights, particularly the property rights of individuals to homes which they obtained legitimately and continue to hold by virtue of complete ownership or payment of their mortgages as contractually agreed upon, is foundational and indispensable to the functioning of a free market. Without secure property rights, the market ceases to be free. It becomes a battleground for groups of gangsters, however organized or named. In a market where property rights are not recognized as absolute and inviolate, corporations transform from traders into raiders―and your home is just a clerical error or business directive away from being gutted by repo thugs that do the organized gangs' bidding. After receiving hundreds of billions of dollars in federal bailout money, the large banks (and virtually all of them received money from the bailout) figured that they were no longer subject to such quaint notions as consumer sovereignty, the rule of law, due process, or the trader principle. Those principles only applied in the old days, when the banks actually had to provide useful services to consenting customers to earn their profits. Now, however, bolstered by both explicit and implicit federal guarantees of protection from the consequences of reckless business practices, the banks have become emboldened to run roughshod over the rights of their customers, in effect turning foreclosures into their new business model and profiting handsomely from the servicing fees when an innocent homeowner loses his or her livelihood despite doing everything right. And even officials from within the Troubled Asset Relief Program (TARP) have formally admitted that the bailouts have only made the banks even more reckless, risky, and risk-seeking than they had been prior to the current crisis. However, another caution to free-market advocates today is that it is no longer simple to determine whether an entity advocates liberty or is consistent with it simply by its name, function, or designation as private or governmental. Consider the source of a major recent setback to the large banks' attempts to mass-produce foreclosures, without an option for innocent homeowners to prove that they should be allowed to keep their homes. It was the Massachusetts Supreme Judicial Court, which voided two foreclosures perpetrated by Wells Fargo and US Bancorp after determining that these banks failed to prove that they ever owned the mortgages in question. Also, the Attorneys General of various states have been defending the rights of homeowners to due process and the presumption of innocence by filing lawsuits against banks which have repeatedly lost documentation or simply ignored homeowners' attempts to prove timely payments and legitimate home ownership. "The large banks today are not creatures of the free market; they would have been bankrupt, and their assets would have been in better hands, if the free market were allowed to run its course." Of course, as with private entities, governments can be found on both sides of this conflict between liberty and the banks' new de facto feudal privileges. The bailed-out banks have strong support in Congress, and, in reaction to the recent Massachusetts decision (Ibanez v. US Bancorp), have proposed to make it more difficult for homeowners to sue banks for wrongful foreclosures, as well as to loosen the standards of proof to which the banks would be held (see here and here). In particular, the think tank Third Way, whose trustee Bill Daley was just selected as Barack Obama's Chief of Staff, unveiled a proposal that only pays lip service to homeowner protection while gutting substantive legal protections for victims of wrongful foreclosures. The grave danger to liberty if Third Way has its way is the deliberate sacrifice of individual freedoms―fundamentally, the only freedoms there are―to corporate privileges of acting with impunity in whatever manner is convenient, irrespective of whether it is honest, peaceful, consensual, or sane. As Dr. Charles Steele astutely notes, this is a contemporary kind of full-blown, undisguised mercantilism. As for my preferred solution, I believe that the only way to undo the damage perpetrated by federal-government action in 2008 is government action, at all levels, in the opposite direction in 2011. The large banks today are not creatures of the free market; they would have been bankrupt, and their assets would have been in better hands, if the free market were allowed to run its course. In my mind, to preserve liberty, the only feasible course of action is to break up the large bailed-out banks―bringing about the dissolution that the free market ought to have effectuated two-and-a-half years ago. Most of the banks' current assets would devolve to hundreds of much smaller competing successor entities, which would be prohibited from re-consolidating with successors of the same large bank. 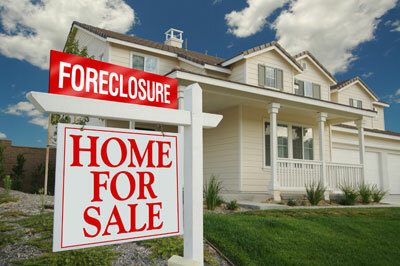 The remainder of the assets would be used to form a fund to compensate victims of wrongful foreclosures. Meanwhile, a moratorium on all foreclosures by either the large banks or their successors should be instituted―because the banks have shown their infrastructure and personnel to be inadequate for performing foreclosures in a lawful manner that respects property rights. Once the successor banks can demonstrate, beyond reasonable doubt, that they have reformed their business systems and practices to allow foreclosures to always be carried out legitimately, the moratorium would be lifted. It is true that some genuinely delinquent homeowners might benefit from such a moratorium, but this is a small price to pay for protecting the property rights of the innocent. In the words of Voltaire, “It is better to risk saving a guilty man than to condemn an innocent one.” Besides, most homeowners would continue paying their mortgages in the event of a moratorium due to internal moral considerations and the desire to ensure that they continue to reside in their homes legitimately no matter what happens. The practice of “strategic defaulting”―where homeowners choose to “walk away” from a mortgage despite having the ability to make payments―is a myth, as Mike Konczal has argued. Most homeowners are fundamentally honest, well-meaning, and law-abiding. They will make agreed-upon payments whenever they can, even if they are not threatened with becoming homeless if they fail to do so. After all, the overwhelming majority of people with credit-card debts make regular payments, even though their homes or other large property cannot be repossessed if they never fulfill those obligations. My final advice for advocates of liberty with regard to the foreclosure crisis is to cease focusing on names such as “company” or “government” and to delve deeply into the underlying reality of behaviors by all entities involved. Friends and enemies of freedom can be found in “public” and “private” organizations alike―and even the public/private distinction is being severely blurred now that large segments of the American economy exist solely by virtue of federal support at taxpayers' expense. We need all the allies we can get to re-establish genuine respect for individual property rights, and without assistance from judges, legislators, and executive officials, this crucial battle will be lost. In the end, either your home is your castle, or might makes right. Whose might it is does not really matter.